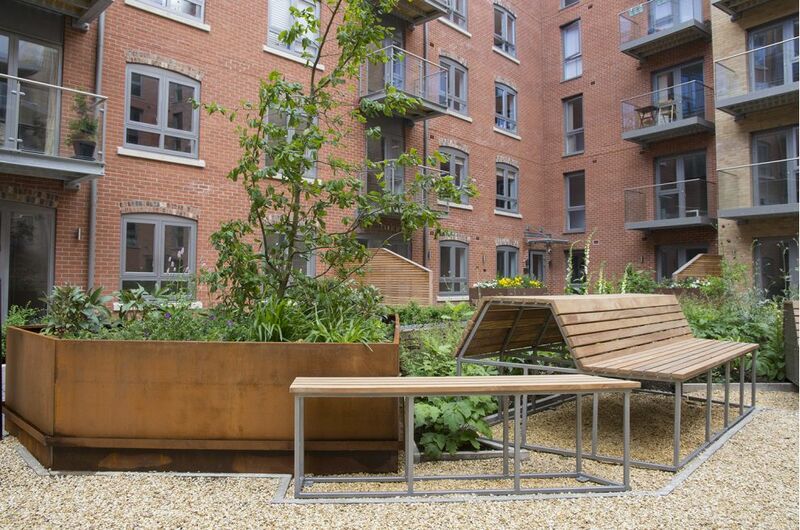 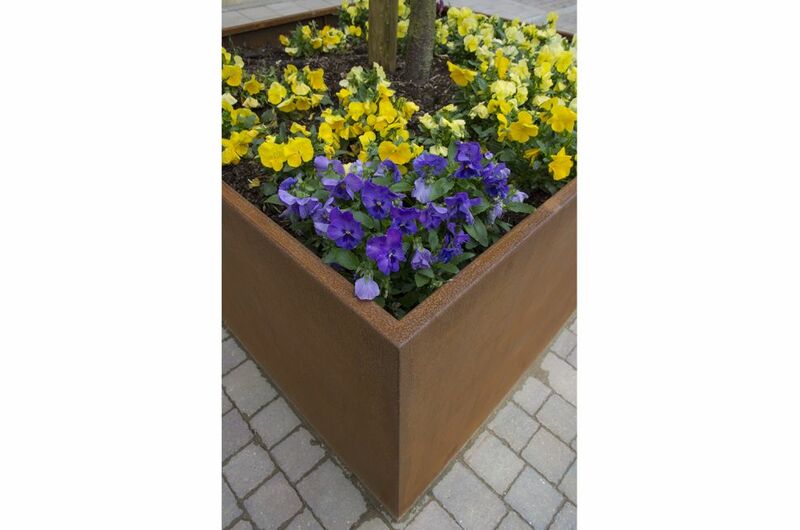 Corten Steel planters were commissioned for the latest phase of the Hungate regeneration scheme in York city centre. 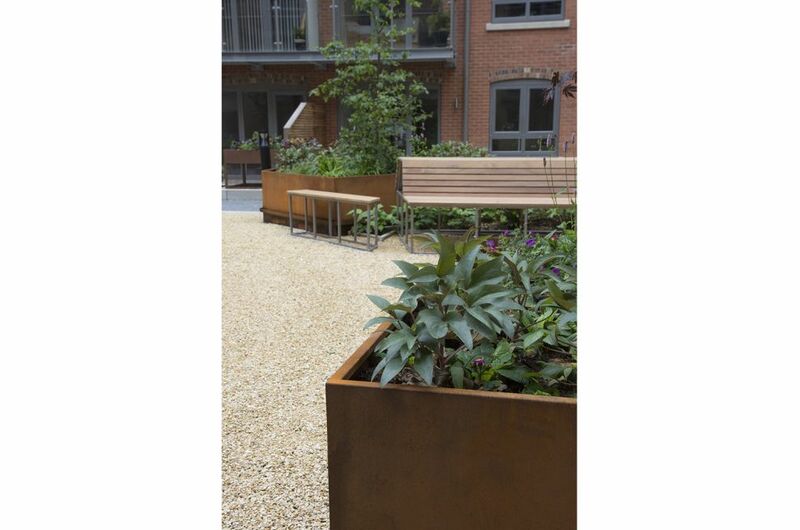 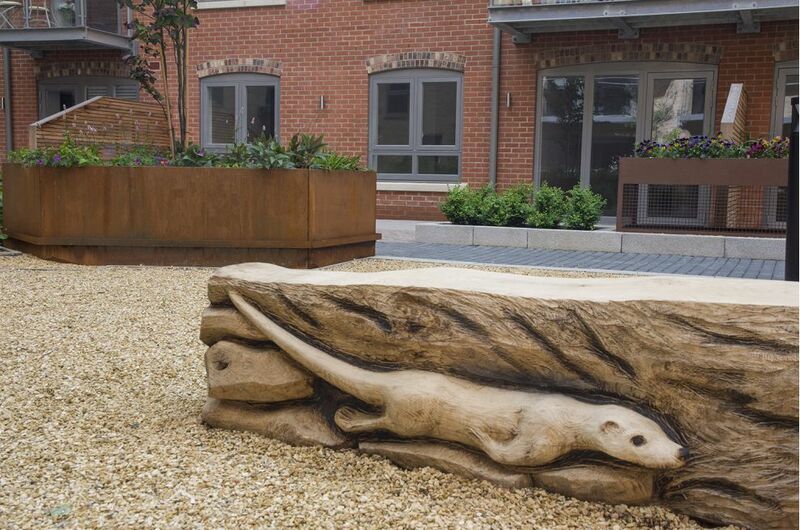 The planters were manufactured from 2.0mm thick Corten Steel, and are located within a communal landscaped garden which forms the heart of this phase of the development. 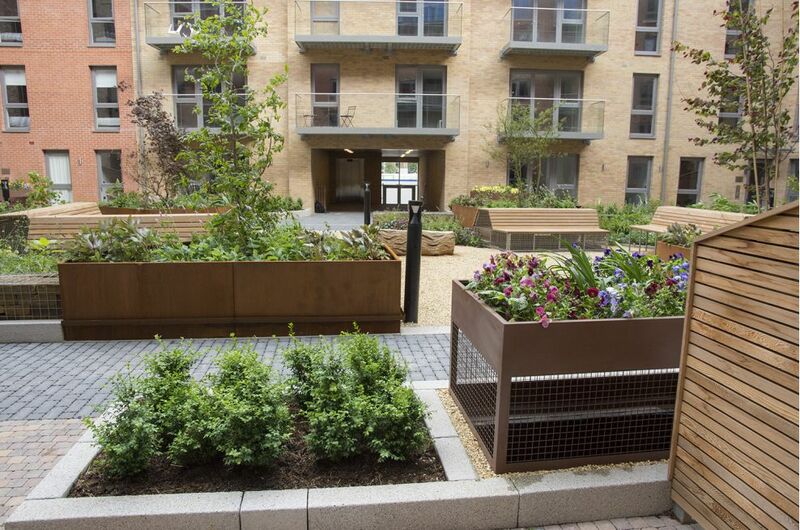 The central focal points of the garden are created by 5nr. 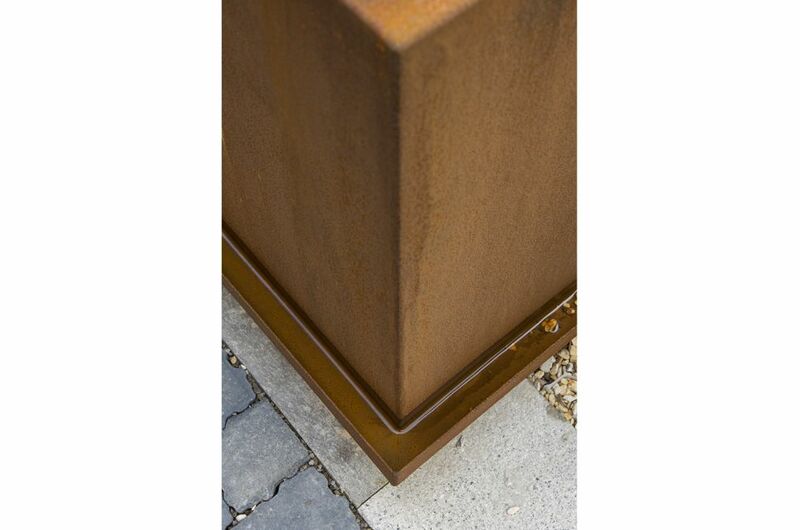 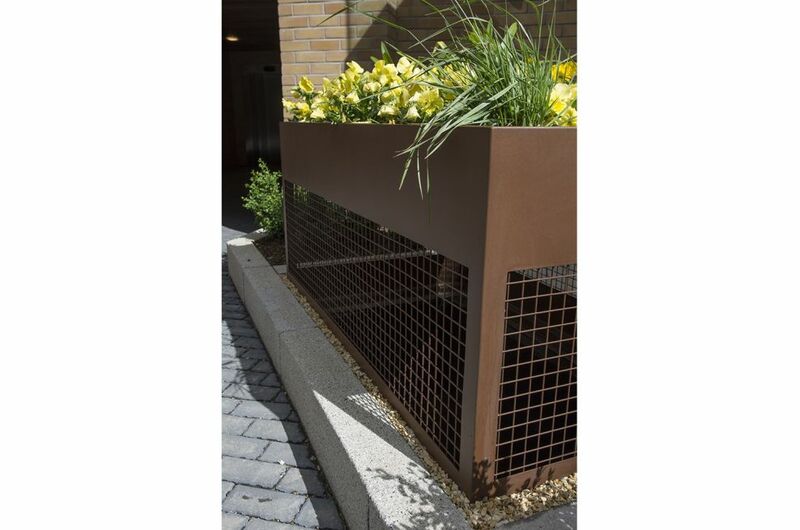 large Corten planters of complex, polygonal form [see essential design in Image Gallery], all of Height 750mm with individual planter faces up to Length 3500mm. 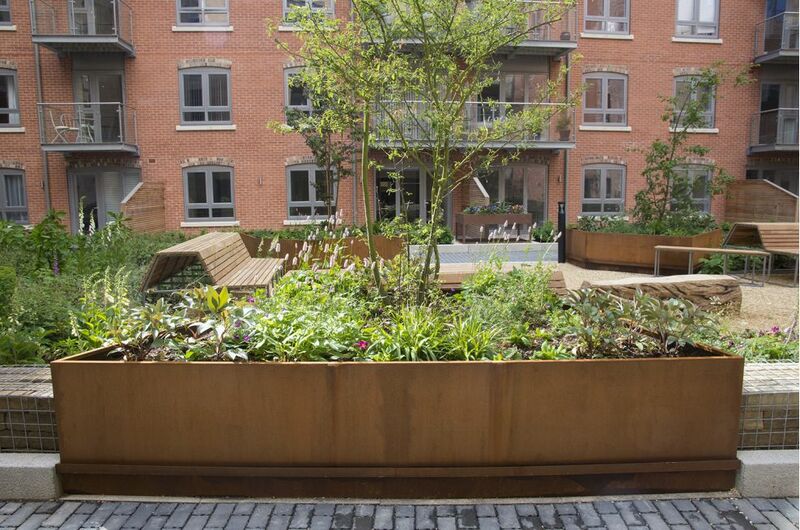 Planted with a mix of both trees and shrubs, the internal bracing of each planter was specifically designed around the tree root balls specified in the planting plan; and the planters include eye bolts in the base for tree anchor attachment. 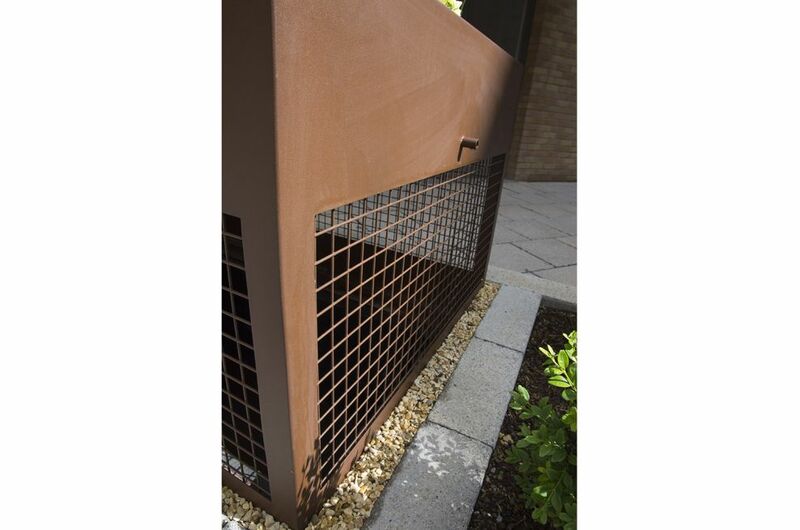 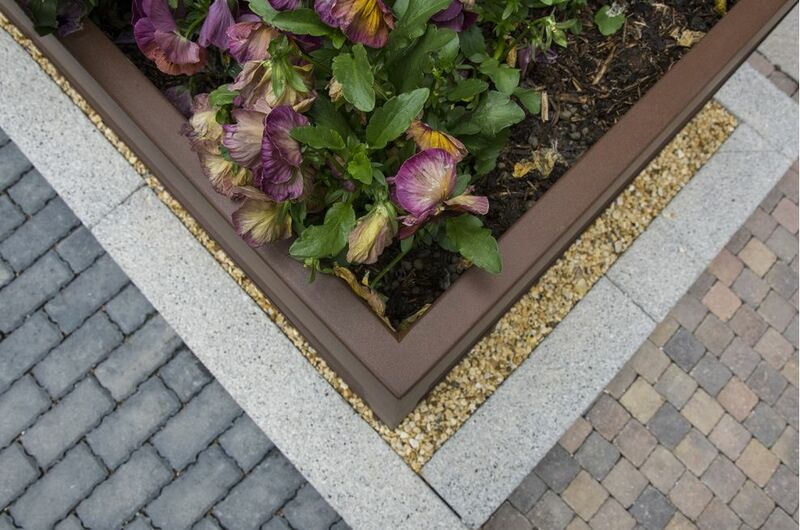 The planters also incorporate an architect-specified trim detail, to capture any Corten Steel run-off. 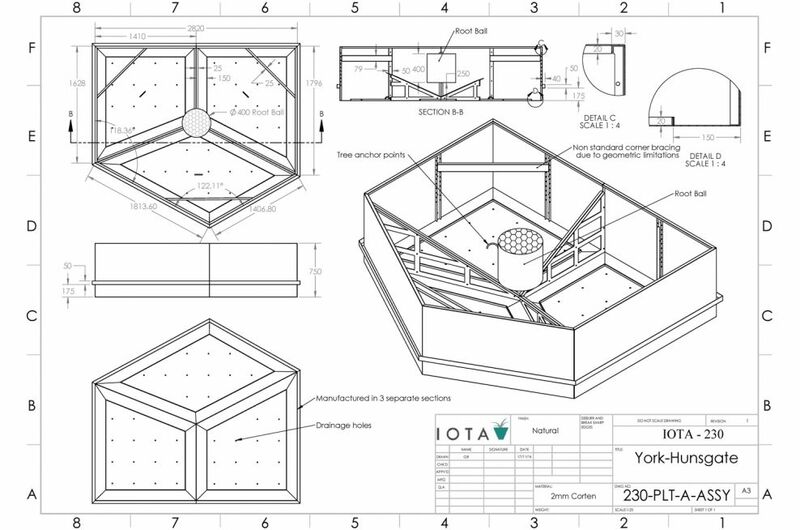 A further 2nr. 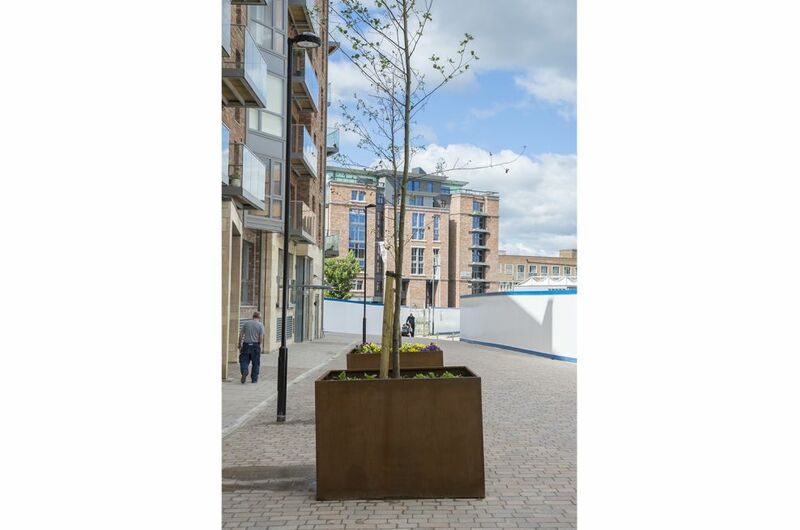 Corten Steel tree planters, of dims. 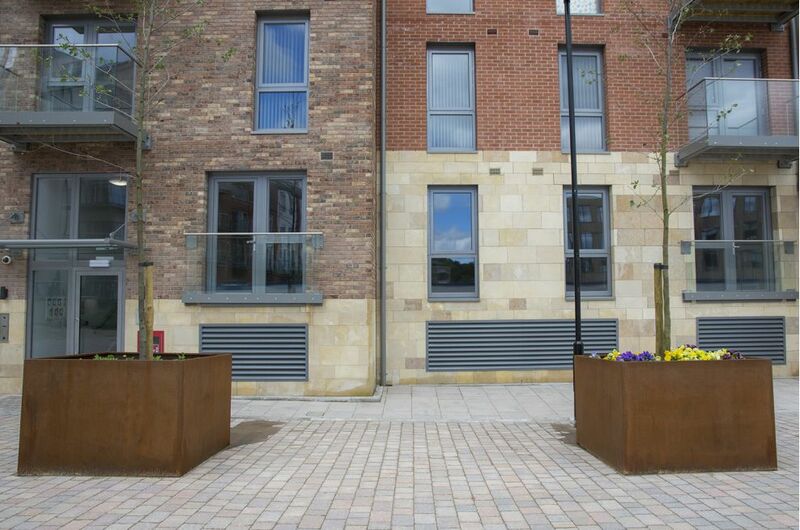 L 1500 x W 1500 x H 1050mm, are located on a pedestrianised street adjacent to the development. 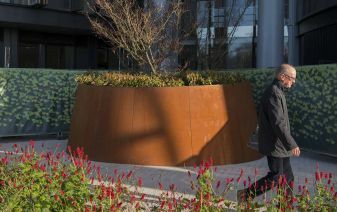 An additional 8nr. 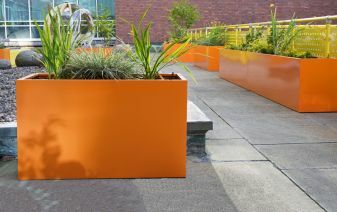 planters were manufactured from 2.0mm thick Zintec Steel with a Polyester Powder Coat finish. 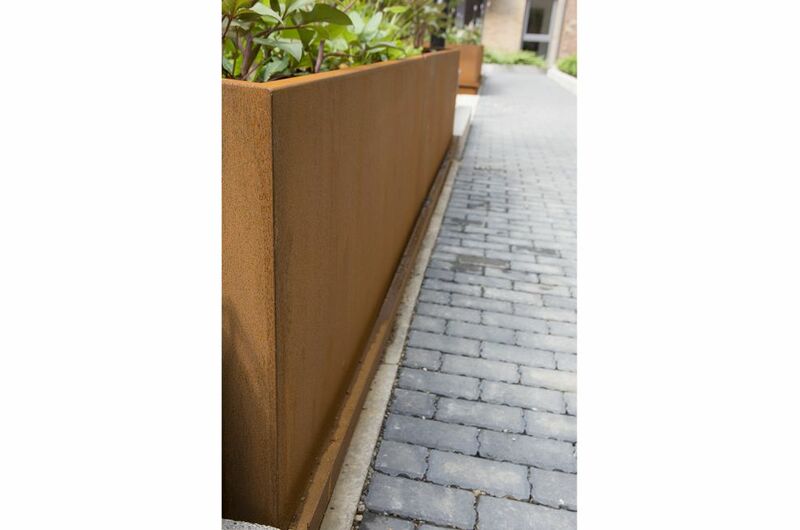 The colour chosen was MARS 2525 Sable, which complements Corten Steel well. 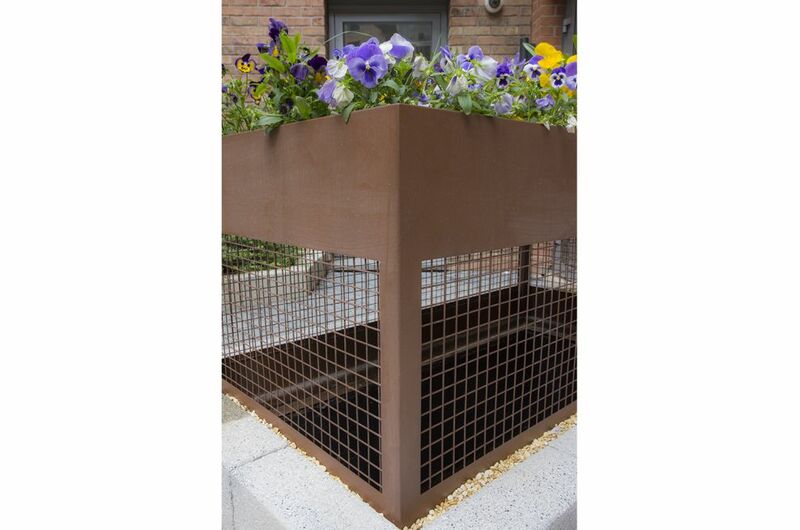 These planters serve as planted vent covers to an underground car park, and were designed with false bottoms and Stainless Steel mesh grills. 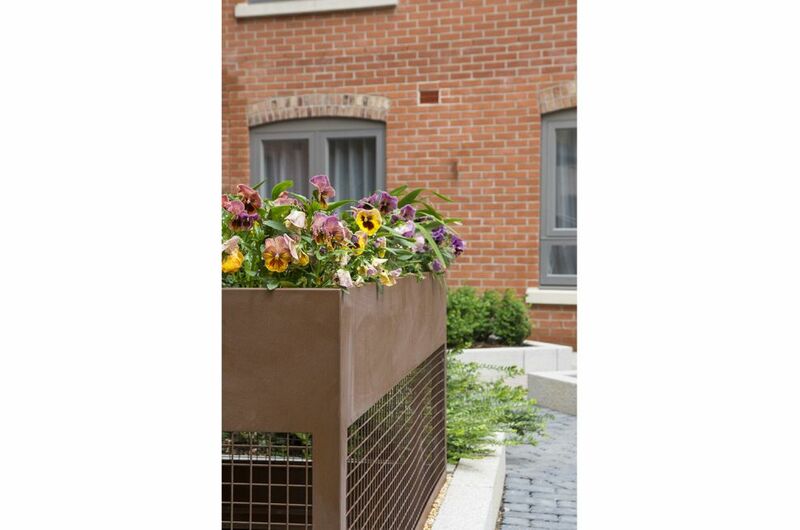 The planters are all of Height 895mm, with varying Lengths / Widths up to a maximum 1805mm. 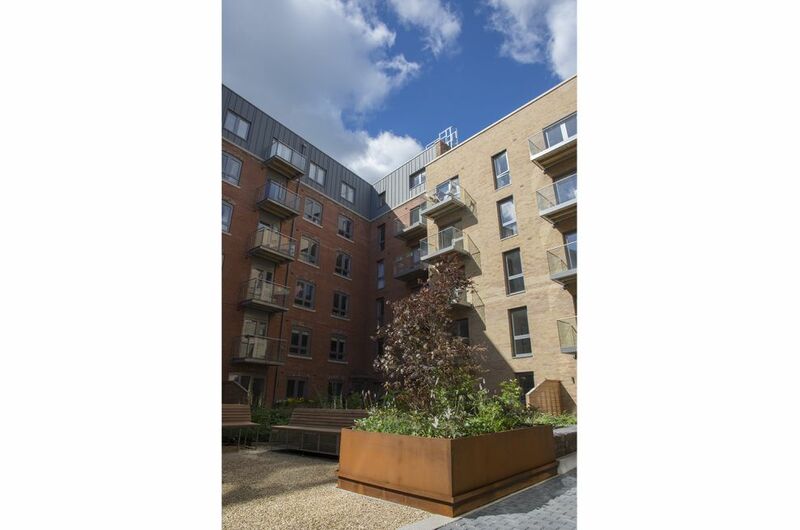 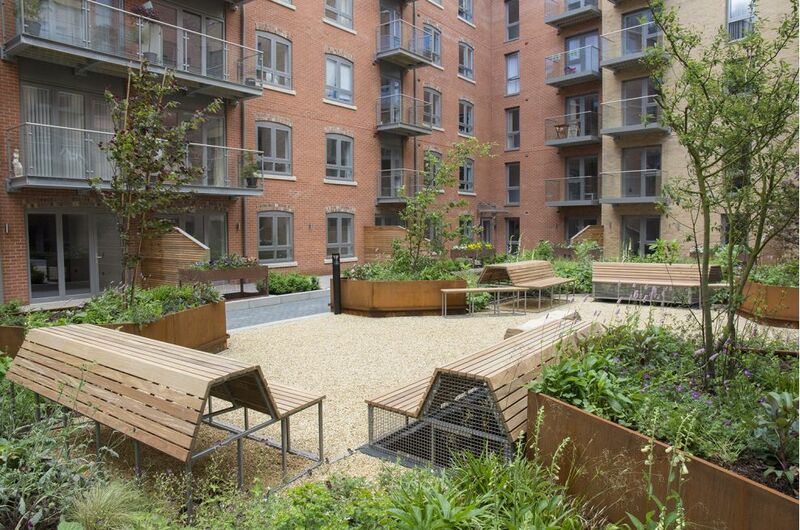 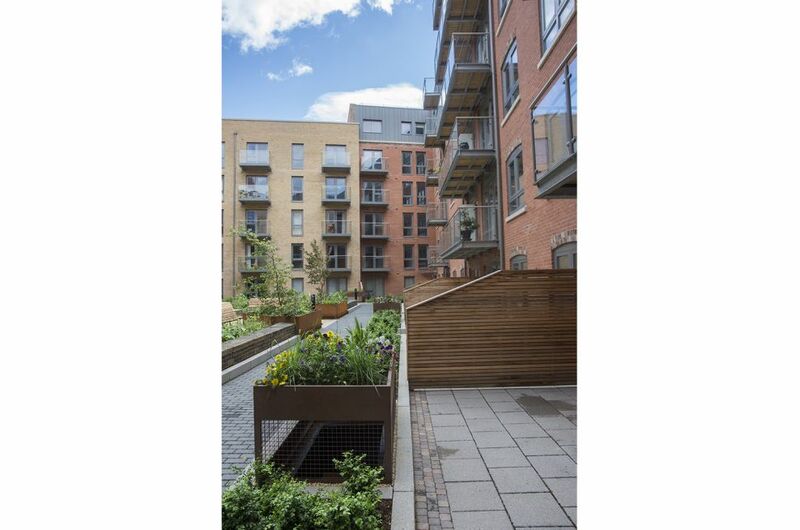 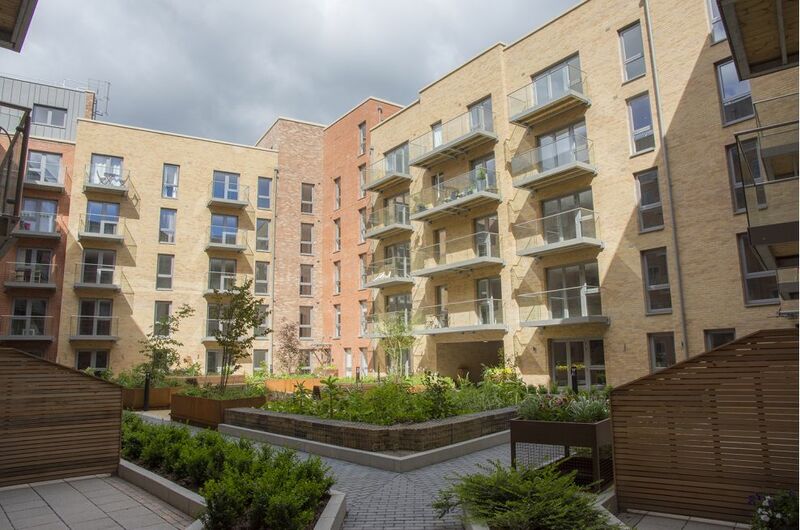 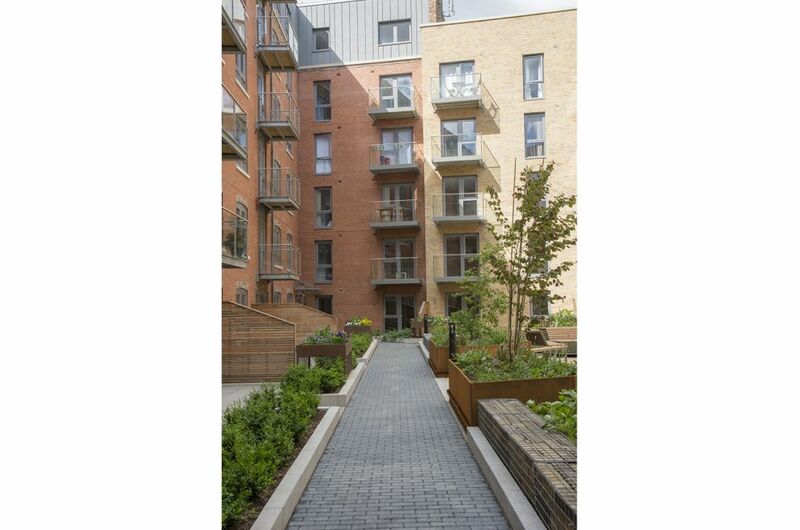 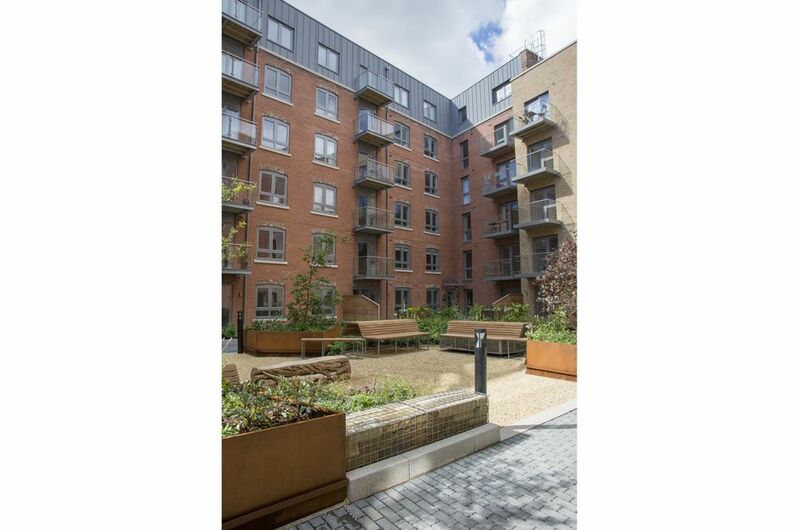 IOTA’s planters were commissioned by Lendlease, joint developers of the Hungate regeneration scheme. 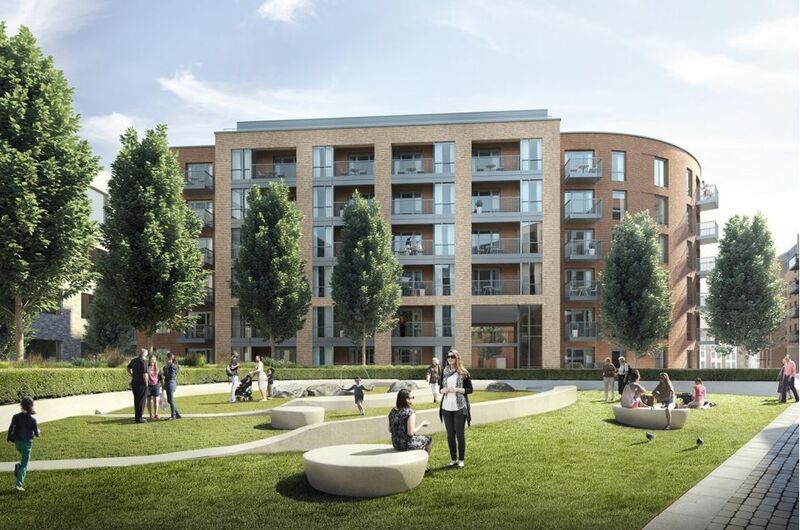 Cradled in a bend of the River Foss, and a brief stroll from the city’s medieval heart, Hungate is a 4.1 hectare site lying on the edge of the business and retail core of York city centre. 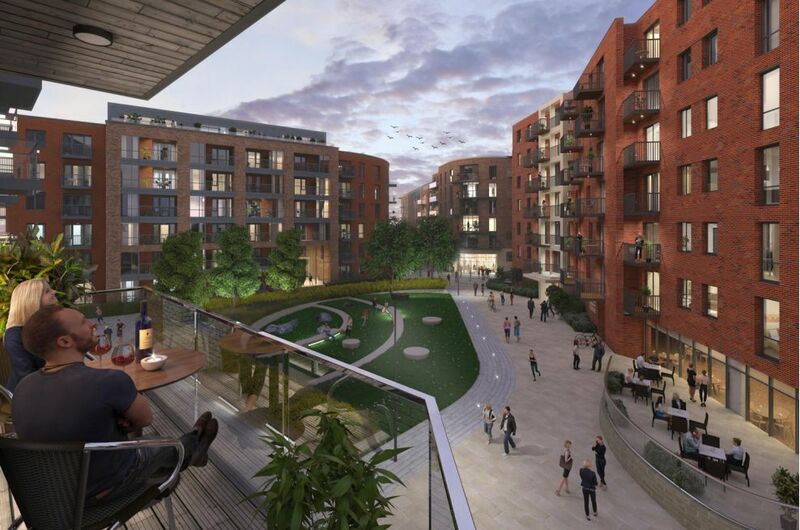 When fully complete, the Hungate development will provide nearly 1,000 new city centre apartments together with commercial and community space, as well as high quality public spaces and landscaping.